My favorite attraction has always been Haunted Mansion. However, due to the inherent darkness of the ride, it has been difficult to get good pictures inside this famous "home." Since the light levels are so low and you are in a moving doom buggy, most photos come out with a slight blur. 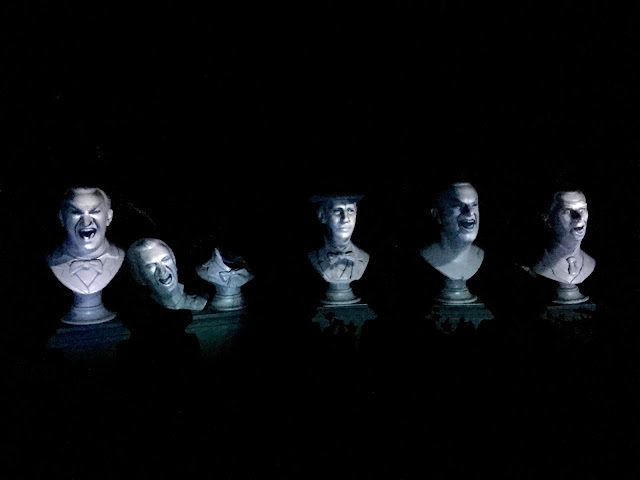 Today, I got lucky, as the ride temporarily stopped as we were right in front of the singing busts. I was finally able to get a decent interior mansion shot without being that obnoxious guest using a flash on a dark ride.